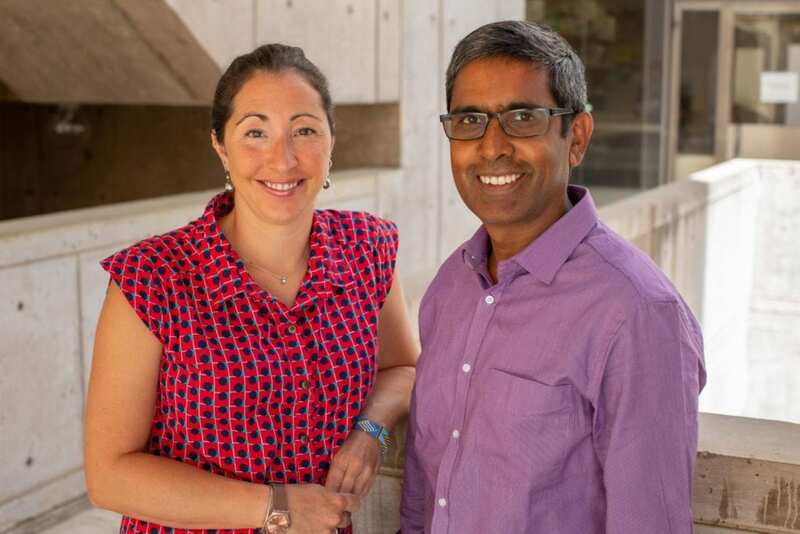 LA JOLLA–(August 30, 2018) Scientists at the Salk Institute found that mice lacking the biological clocks thought to be necessary for a healthy metabolism could still be protected against obesity and metabolic diseases by having their daily access to food restricted to a 10-hour window. The work, which appeared in the journal Cell Metabolism on August 30, 2018, suggests that the health problems associated with disruptions to animals' 24-hour rhythms of activity and rest–which in humans is linked to eating for most of the day or doing shift work–can be corrected by eating all calories within a 10-hour window. Every cell in mammals' bodies operates on a 24-hour cycle known as the circadian rhythm–cellular cycles that govern when various genes are active. For example, in humans, genes for digestion are more active earlier in the day while genes for cellular repair are more active at night. Previously, the Panda lab discovered that mice allowed 24-hour access to a high-fat diet became obese and developed a slew of metabolic diseases including high cholesterol, fatty liver and diabetes. But these same mice, when restricted to the high-fat diet for a daily 8- to 10-hour window became lean, fit and healthy. The lab attributed the health benefits to keeping the mice in better sync with their cellular clocks–for example, by eating most of the calories when genes for digestion were more active. To test whether time-restricted eating could benefit these "clock-less" mice, Panda's team put them on one of two high-fat diet regimes: one group had access to food around the clock, the other had access to the same number of calories only during a 10-hour window. As the team expected, the group that could eat at any time became obese and developed metabolic diseases. But the group that ate the same number of calories within a 10-hour window remained lean and healthy–despite not having an internal "biological clock" and thereby genetically programmed to be morbidly sick. This told the researchers that the health benefits from a 10-hour window were not just due to restricting eating to times when genes for digestion were more active. "From the previous study, we had been under the impression that the biological clock was internally timing the process of turning genes for metabolism on and off at predetermined times," says Amandine Chaix, a staff scientist at Salk and the paper's first author. "And while that may still be true, this work suggests that by controlling the animals' feeding and fasting cycles, we can basically override the lack of an internal timing system with an external timing system." The work was funded by the American Federation of Aging Research (AFAR) grant M14322; the National Institutes of Health grants DK115214, P30 CA014195, P30 EY019005, P50 GM085764 and R24 DK080506; the Glenn Center for Aging; the Leona M. and Harry B. Helmsley Charitable Trust's grant #2012-PG-MED002; the American Diabetes Association (7-12-MN-64); an American Heart Association Career Development Award (18CDA34110292); the Philippe Foundation Inc., New York; and the Women in Science Program of the Salk Institute.